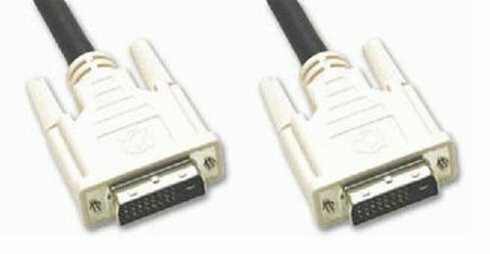 After using this cable, i saw a big improvement in my screen color and clarity. 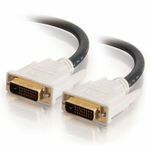 I am so happy i tried a new cable before buying a new monitor altogether - saved a lot of money! Buying this without a hitch. Good so far. my cord was too short. I bought this and run my projector in the back of my room and the computer in the front. Quality is perfect with plenty of length to spare on the cord. 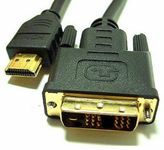 Bought this cable because I need to to connect my computer graphics card to my Plasma TV which had DVI-D port. Very durable and high quality. Local store was trying to charge me $75 for the same thing. The head of this cable is about 1.75 inches.